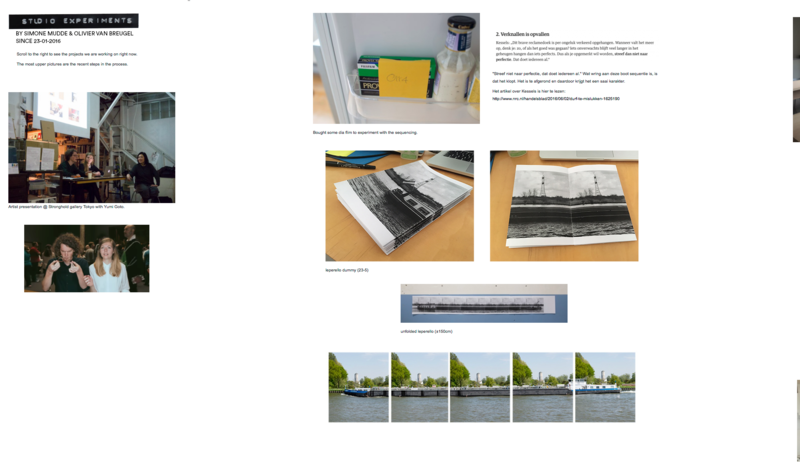 Photography project and artist book in collaboration with Simone Mudde. Made in 2012. Dyptichs, a year apart. 2017-2018, now with publication and essay by Emma van de Wouw. Follow me on Instagram to see my process. 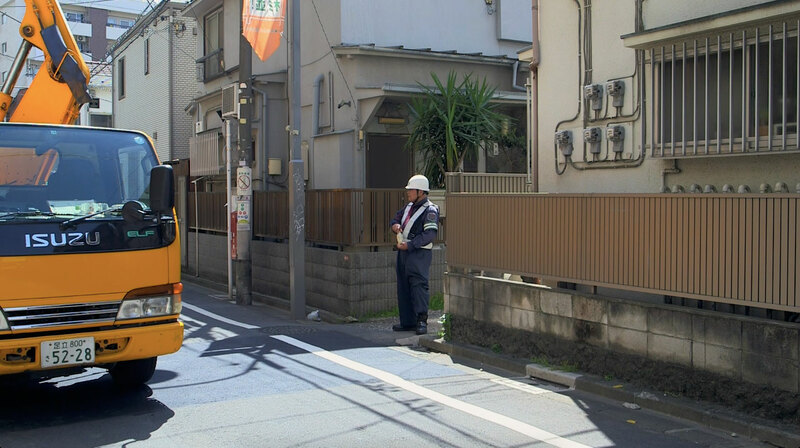 Video installation, shot in Tokyo in 2015 and 2016 in collaboration with Simone Mudde. What's new, and what was new. 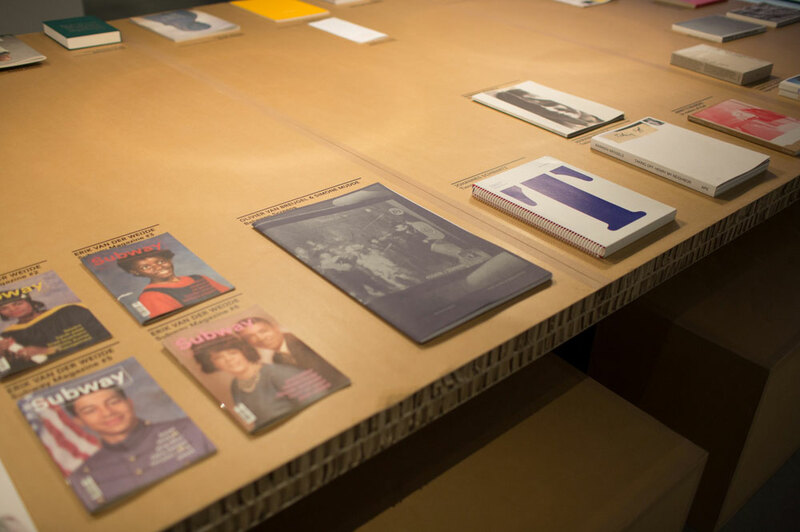 Photography project and artist book in collaboration with Simone Mudde, made in 2014 for the exhibition 'On the Move' in Het Stedelijk Museum Amsterdam. Slide film experiments in custom made frames. Art academy graduation project 2011 at AKV|St.Joost, Breda. 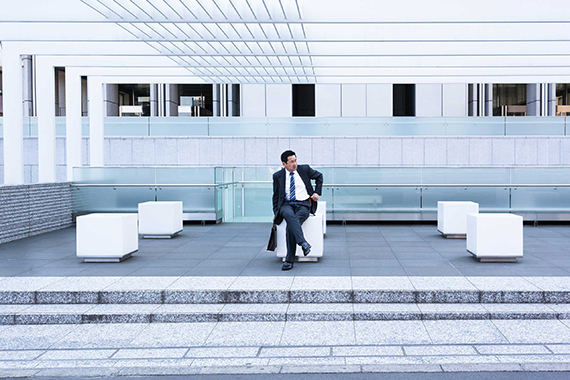 Continuation of Life in the Business District in Tokyo. Selection of commercial assignments between 2011-2016. Publisher's website, started in 2014 in collaboration with Simone Mudde. Our books can be bought here. 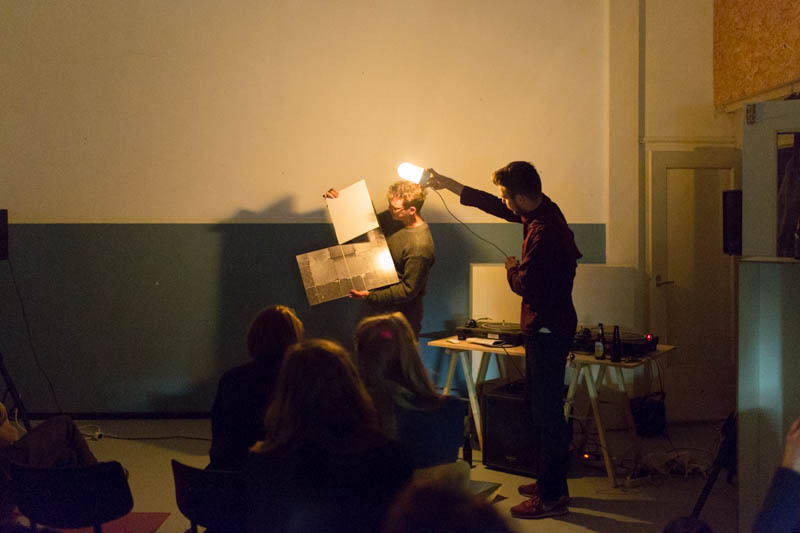 Photography related events organised in collaboration with Simone Mudde and Florian Braakman. It took us 5 years to send out our first newsletter. In a month it's exactly 5 years since we graduated. – A year ago we both received a Young Talent fund from the Mondriaan Foundation, so we could focus on the development of our artistic practice for a long period of time. In this newsletter we want to inform you of what's been going on lately and what's coming up. 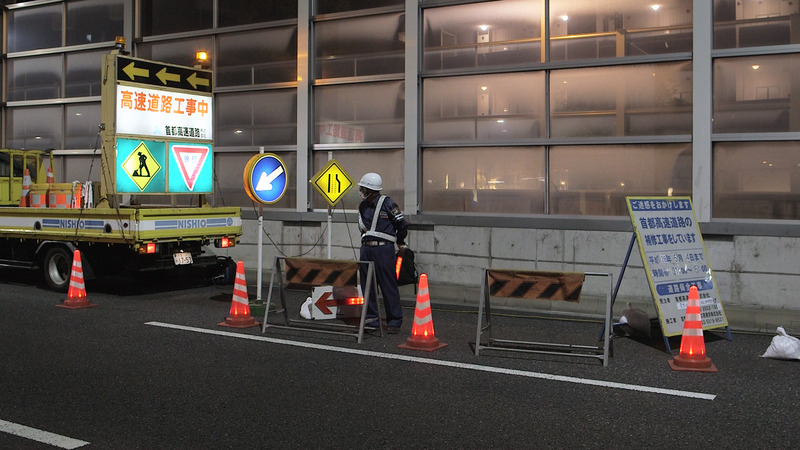 Last year we stayed in Tokyo twice to work on a video project. The project originated in 2012 during our first stay in Tokyo. 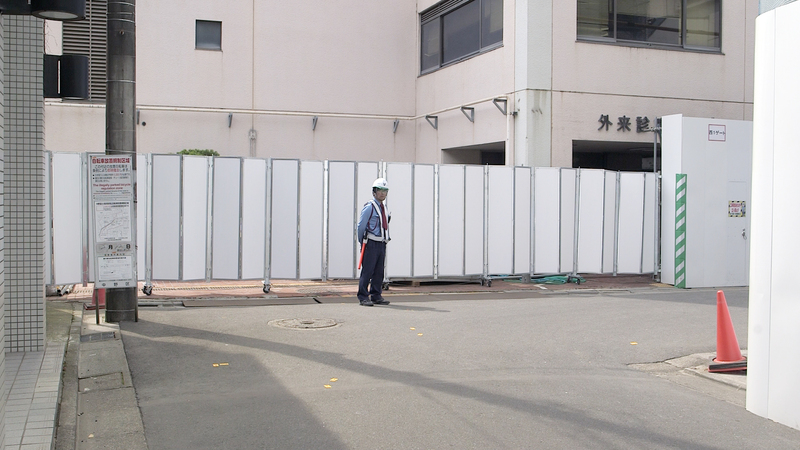 You see them everywhere in Tokyo, the guard of construction sites. Whether it's raining or the sun is shining bright, they're always there. Their commitment is as absurd as it is admirable. During Breda Photo we will present this new work for the first time. Announcements about the opening will follow. Between Screens at De Correspondent and the GNKK. 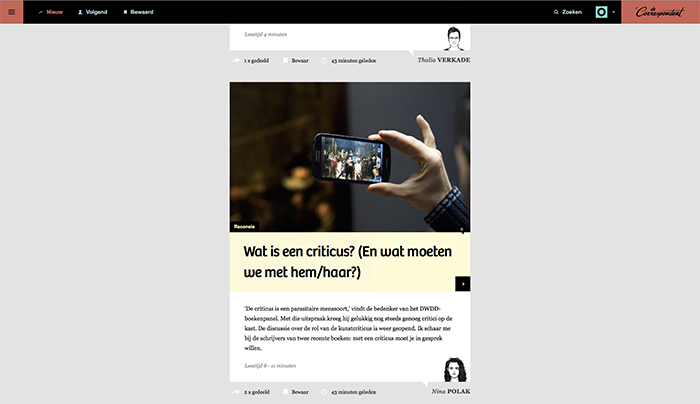 Sterre Sprengers, picture editor at online journalistiek platform De Correspondent, used several images from the series Between Screens in the article 'Wat is een criticus?' by Nina Polak. The GNKK (The large dutch art calendar) selected us as for the 2017/2018 edition. We send in a Between Screens image. At the beginning of this year we started to write up our process on a blog. We're trying to capture all the steps we take in images and text, as a document for the future and as inspiration for ourselves and maybe others as well. A large part of the process of Mono Men is on there for example. McHotel on show at F/Stop Photofestival Leipzig. 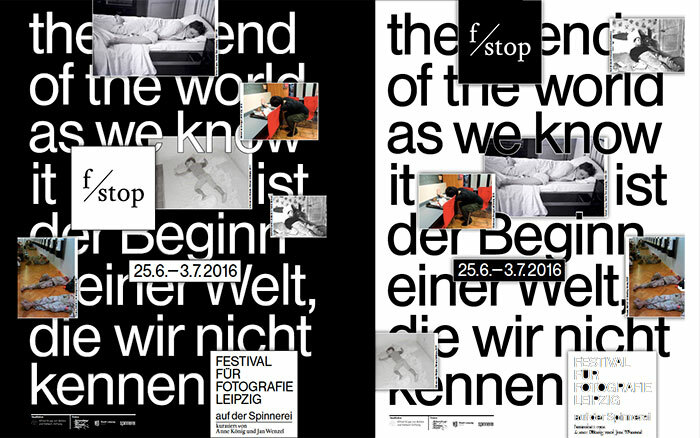 During F/Stop fotofestival our project McHotel (2012) will be on show. The festival starts the 25th of June and runs until the 3rd of July. Our photos and publication will be shown along side: David Mozziconacci, Erik van der Weijde, Jens Klein, Tobias Zielony, Ute Mahler, Robert Capa, and others. Earlier this year Simone received the great news that she is accepted to the master 'Photography and Fine art' at The Royal College of Art in London. At the end of September she will start this two year program. Presentation evening 'A little too Early' in our studio. 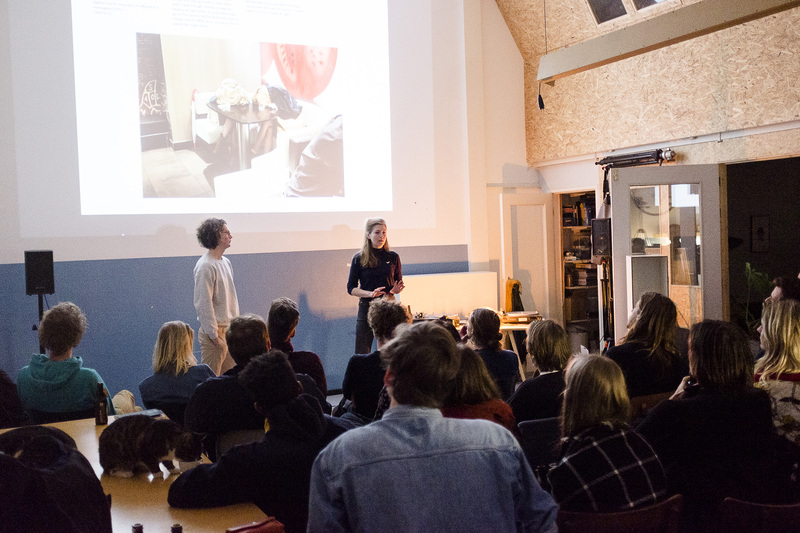 It's already been a while: The 19th of February we organised the presentation evening 'A little too early', in collaboration with Florian Braakman. We invited fellow imagemakers to tell about their process. There's often a stage for the end result of the process, but during this evening we wanted to put the emphasis on how everyone get's there. What choices do you make along the way and what doesn't succeed? This approach led to an open conversation about the artist's life. The goal was to inspire one another and to provide a look behind the scenes. Speakers during this evening were: Thomas Kuijpers, Peter de Krom, Luuk Smits, Lana Mesic, Florian Braakman, Simone Mudde and Olivier van Breugel. Want to read more about A little too early? 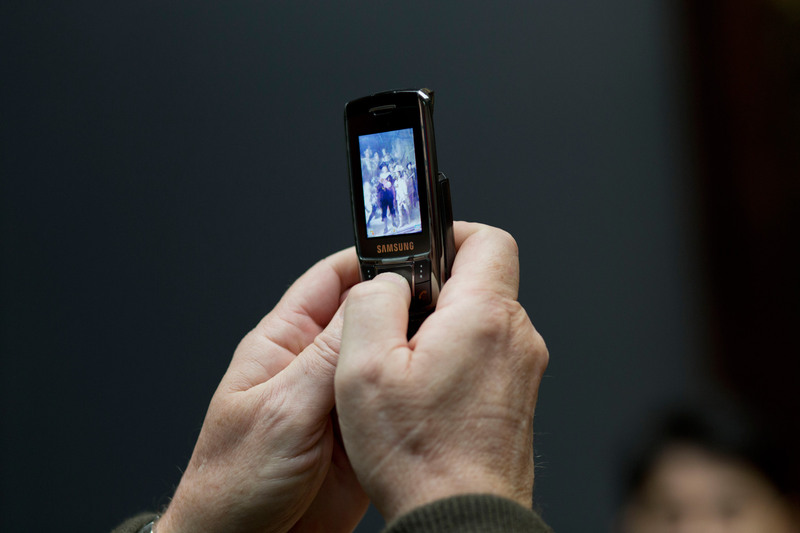 Last year Between Screens was on show in Het Nederlands Fotomuseum in Rotterdam during the exhibition 'Quickscan #02'. In this exhibition curator Frits Gierstberg investigated the status quo of Dutch Photography. What are the tendencies? Publisher FW:Books provided a table with the best publication of recent years, where Between Screens was presented. 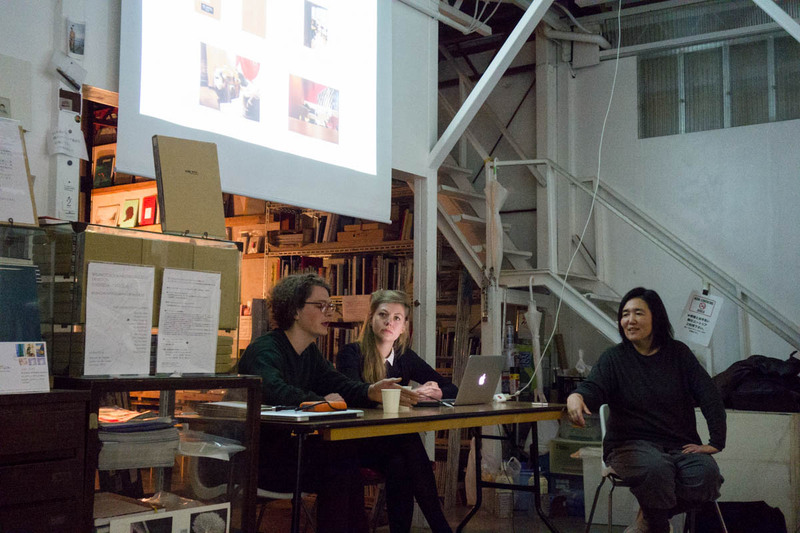 Artist Talk in Tokyo, Portfolio review op Sint Joost. In the Yumi Goto's Stronghold gallery we held a little presentation about our work and we shared our process of working on the new video project Mono Men. Even Japanese were fascinated by McHotel. All the publications we brought with us were sold there. A few months ago we gave a lecture to 3rd and 4th year photography students at AKV | Sint Joost and we gave feedback on their portfolio's.